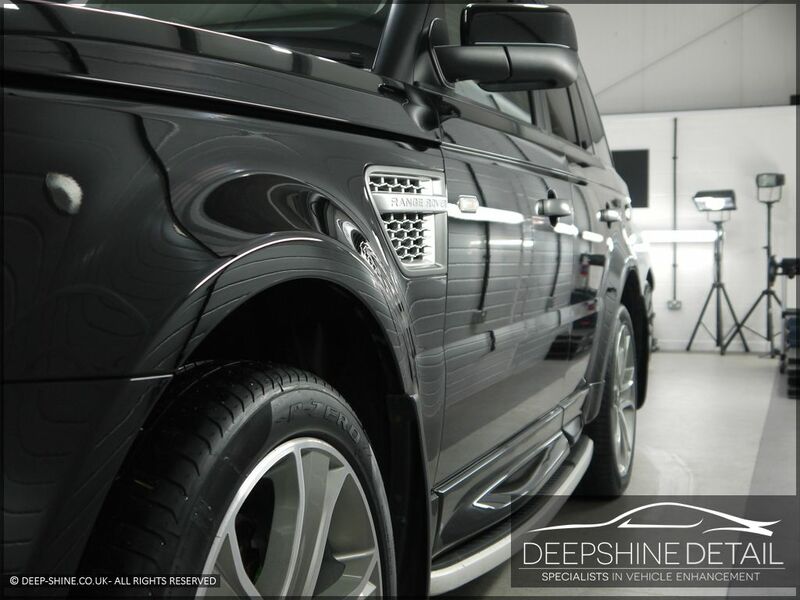 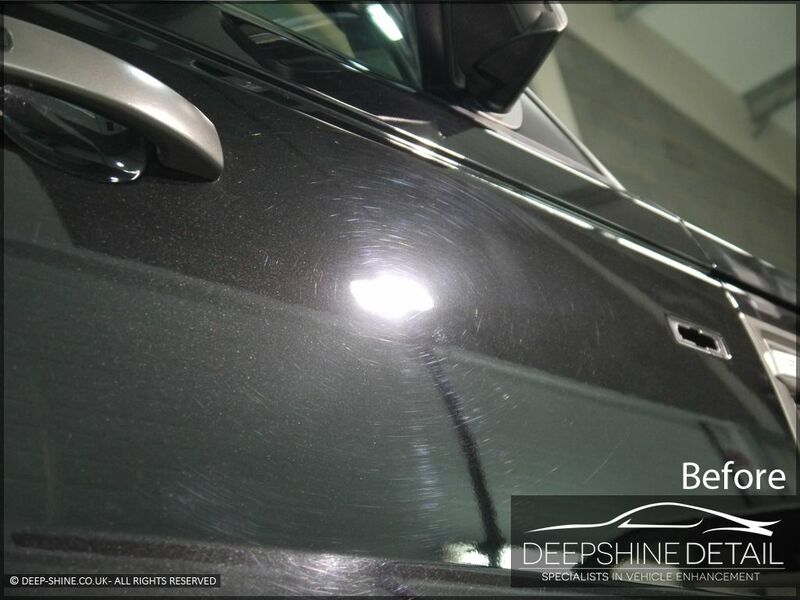 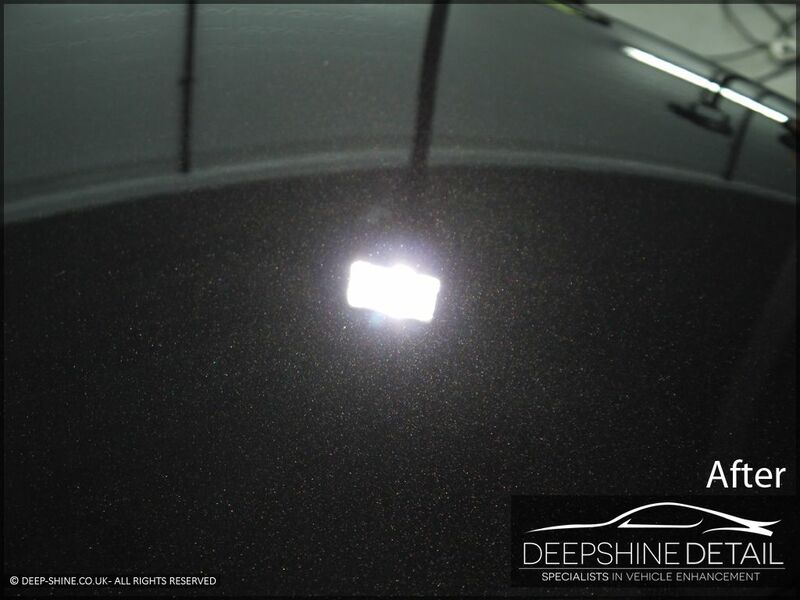 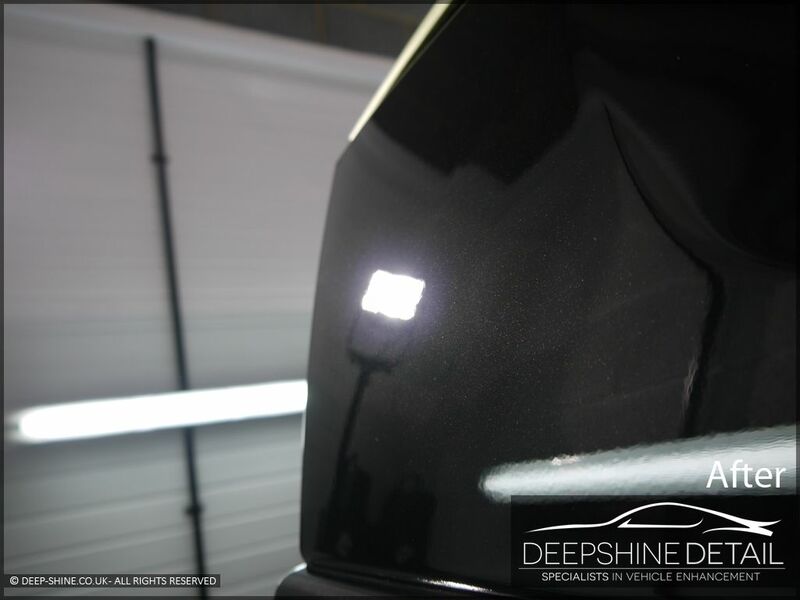 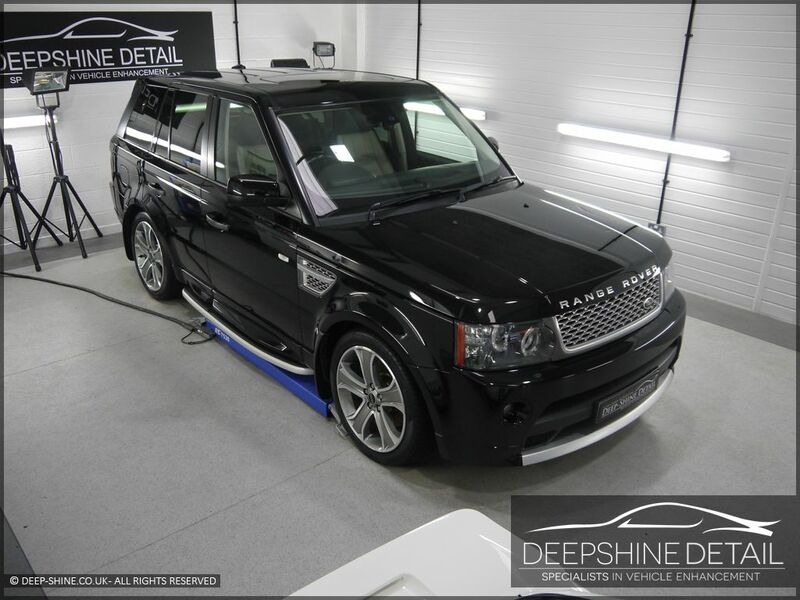 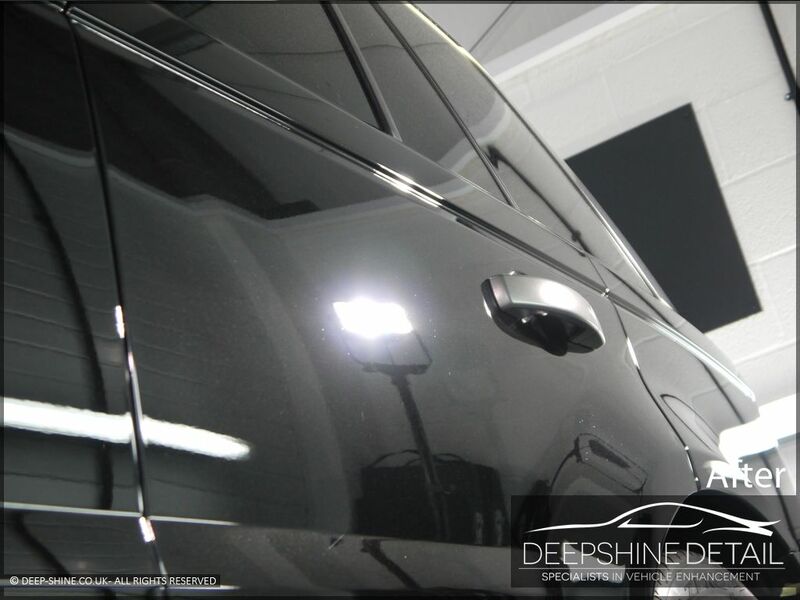 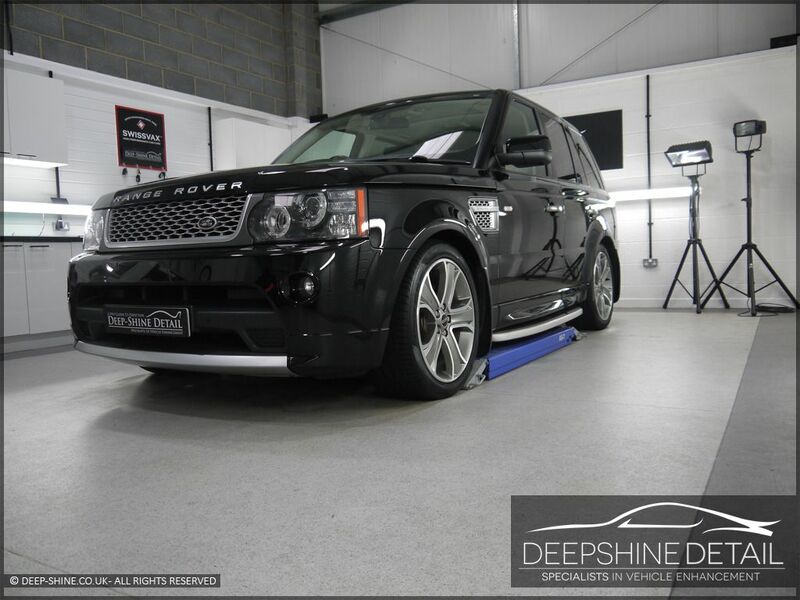 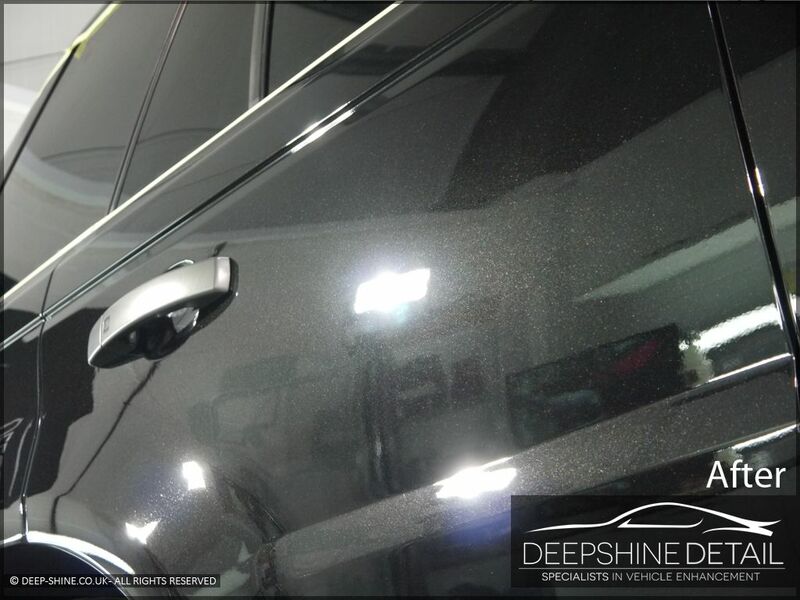 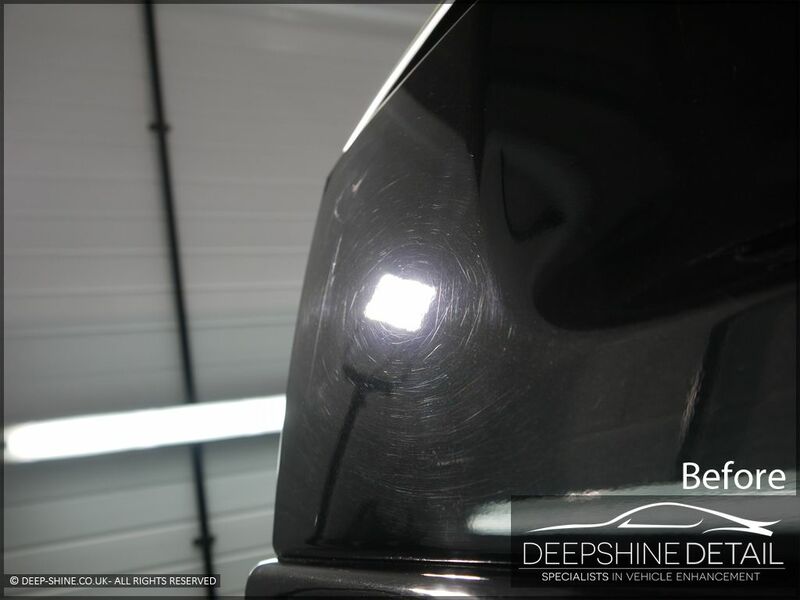 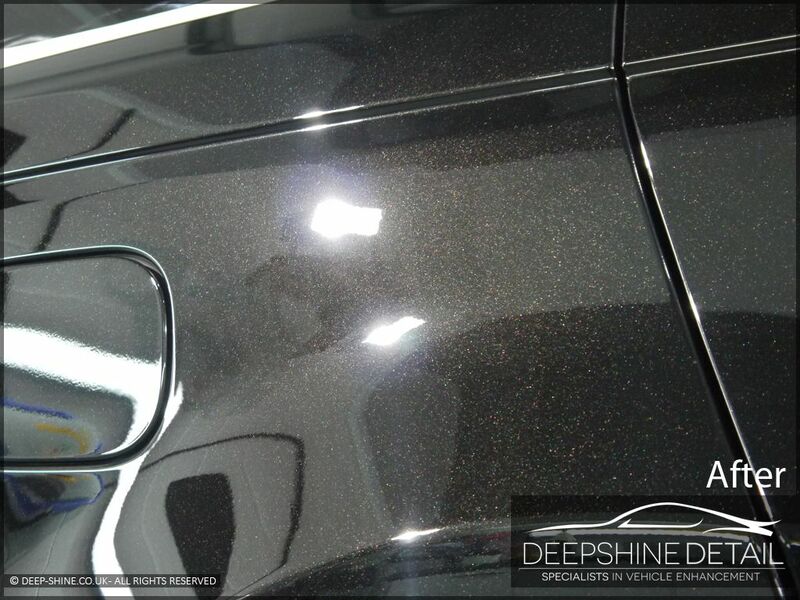 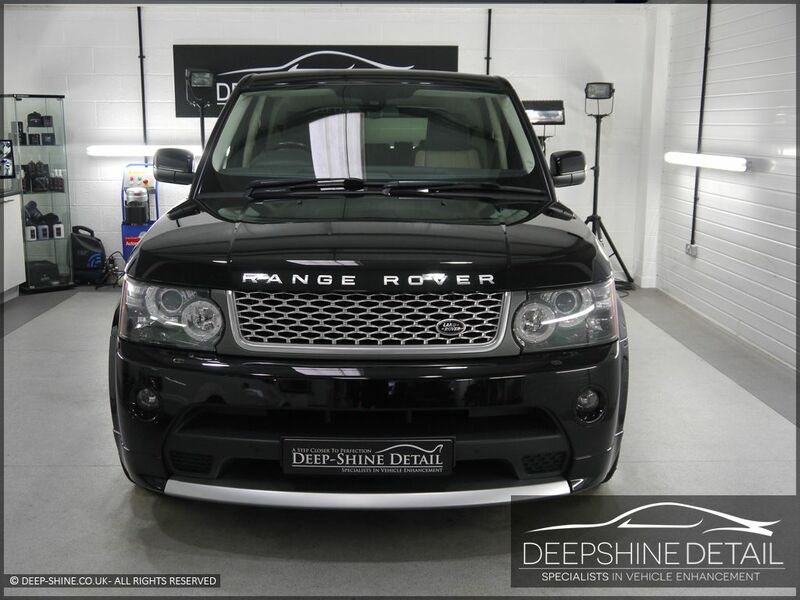 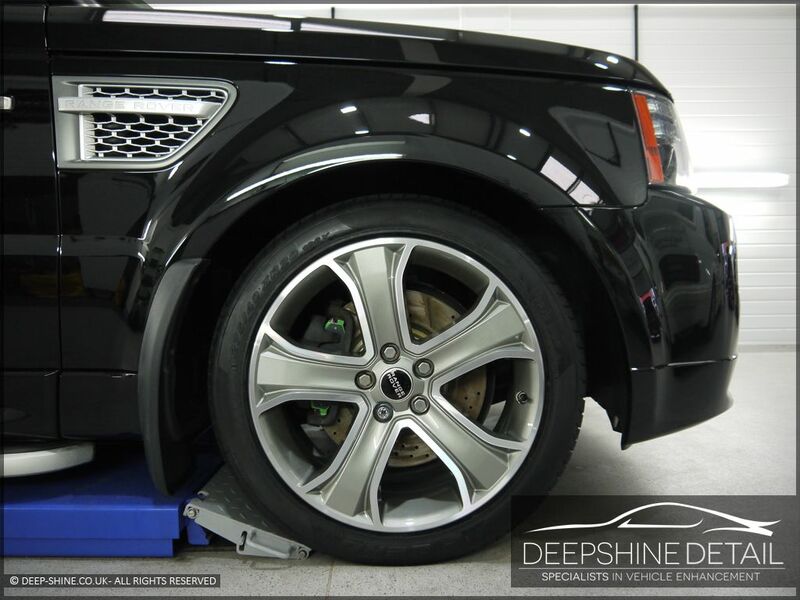 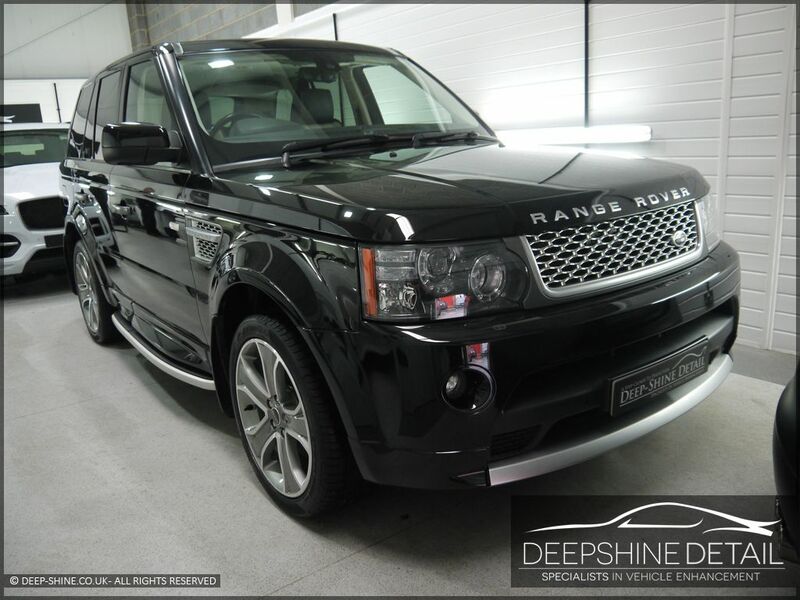 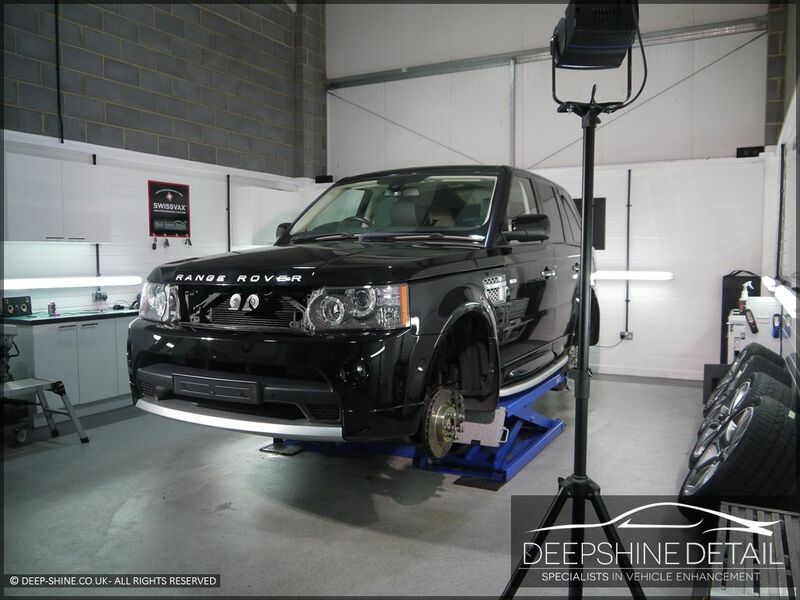 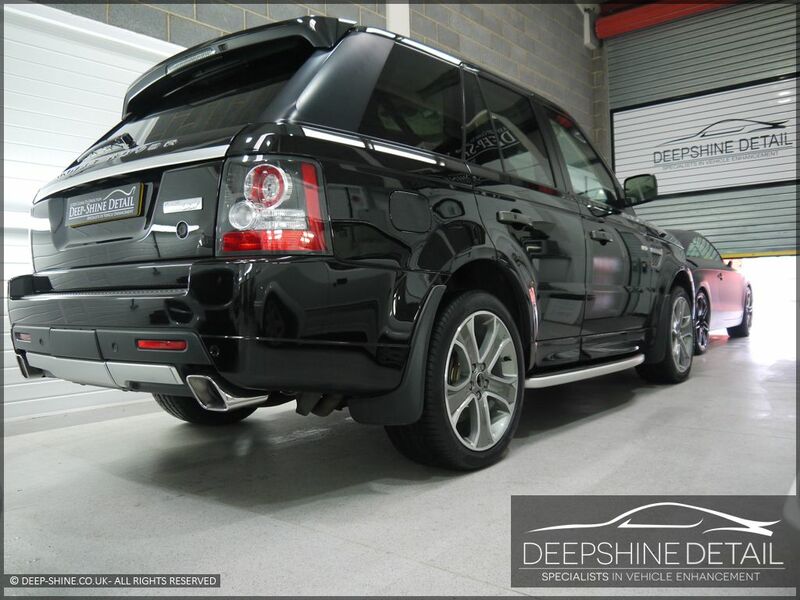 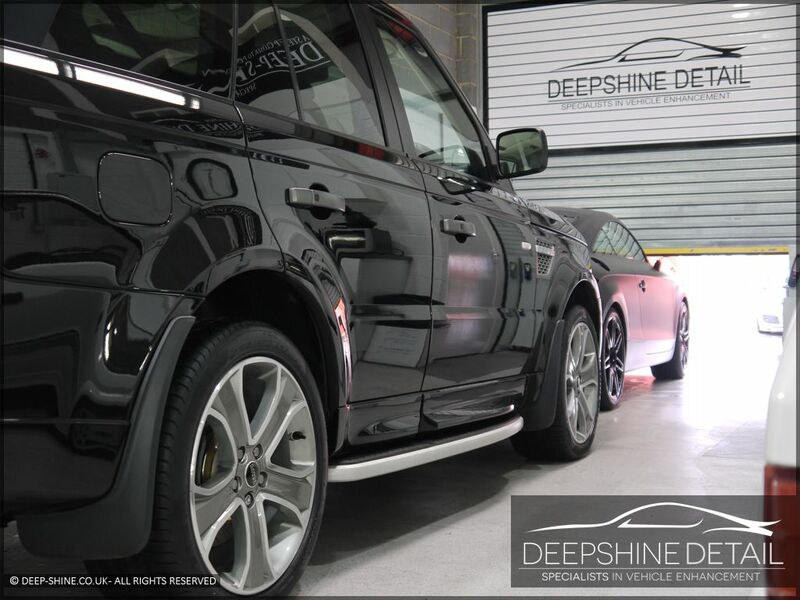 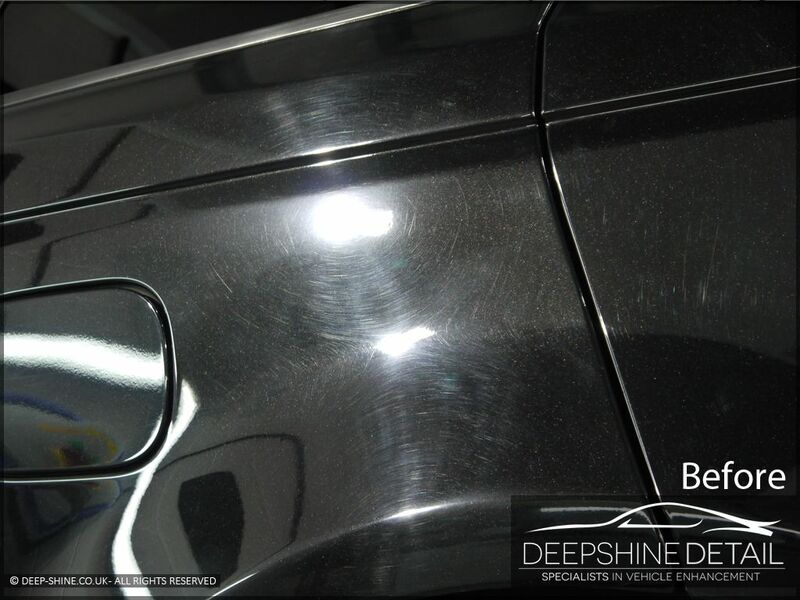 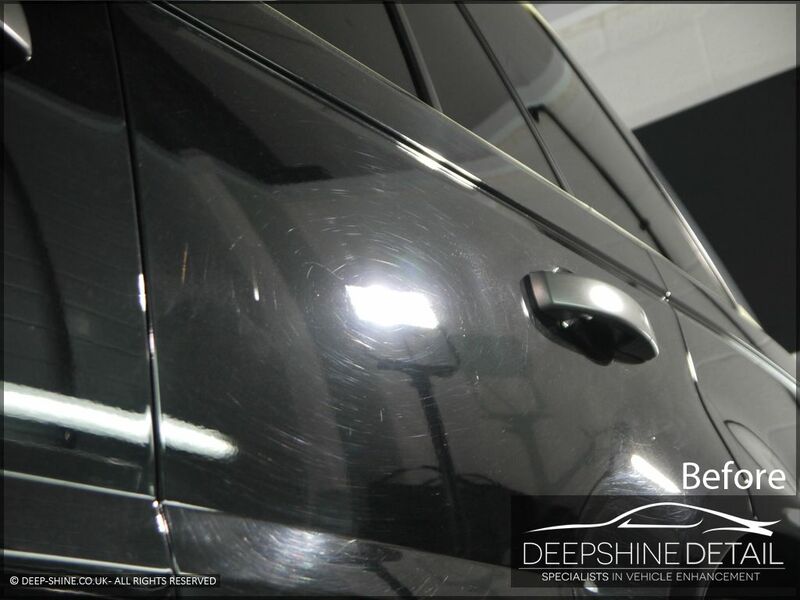 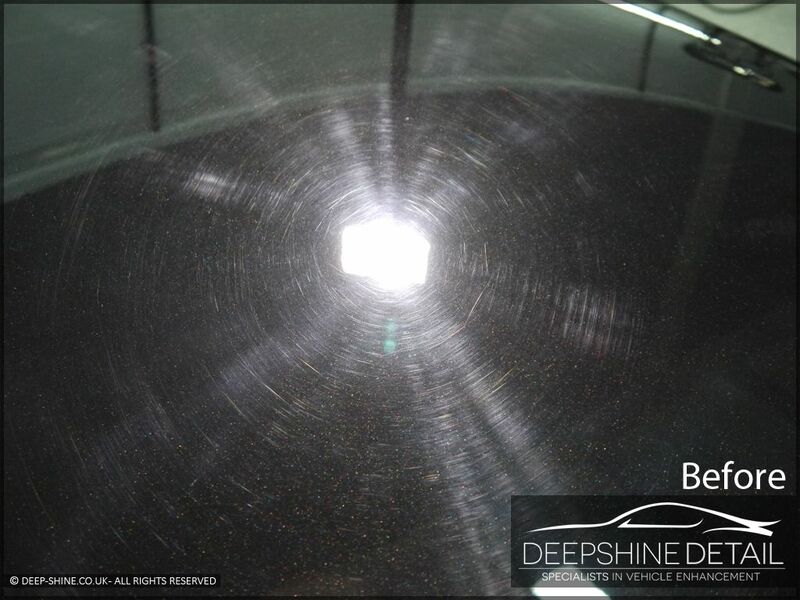 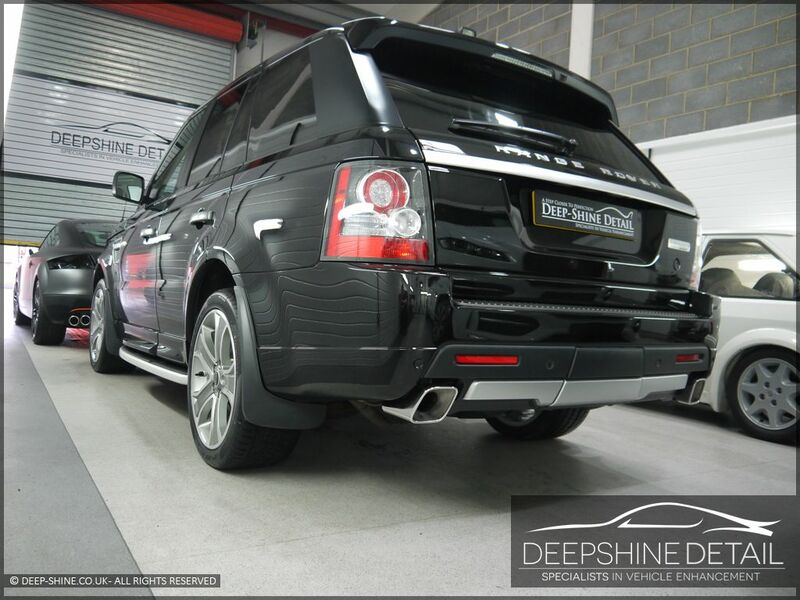 Range Rover Sport Autobiography Receives an Enhancement/Light Correction Package. 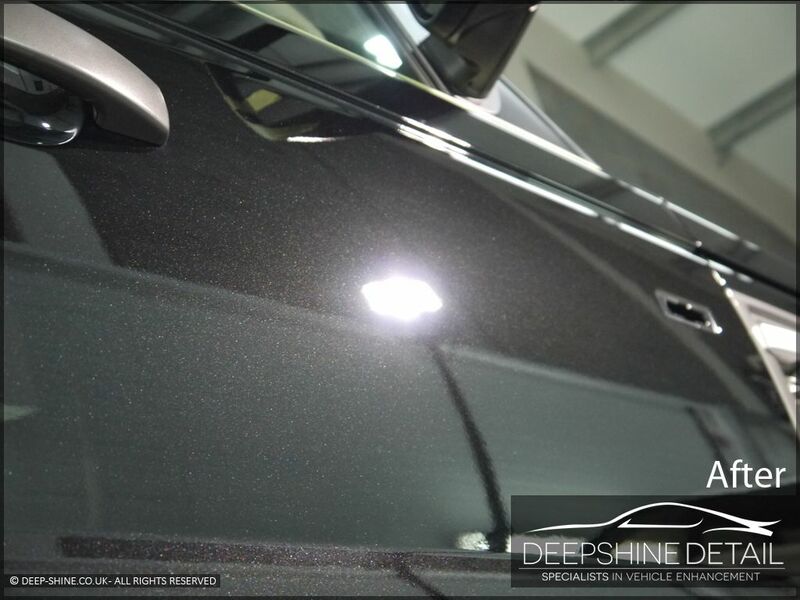 The aim of the package is to remove a high percentage of the swirling etc that was present thus in turn adding clarity and improving gloss levels and the overall presentation of the car. 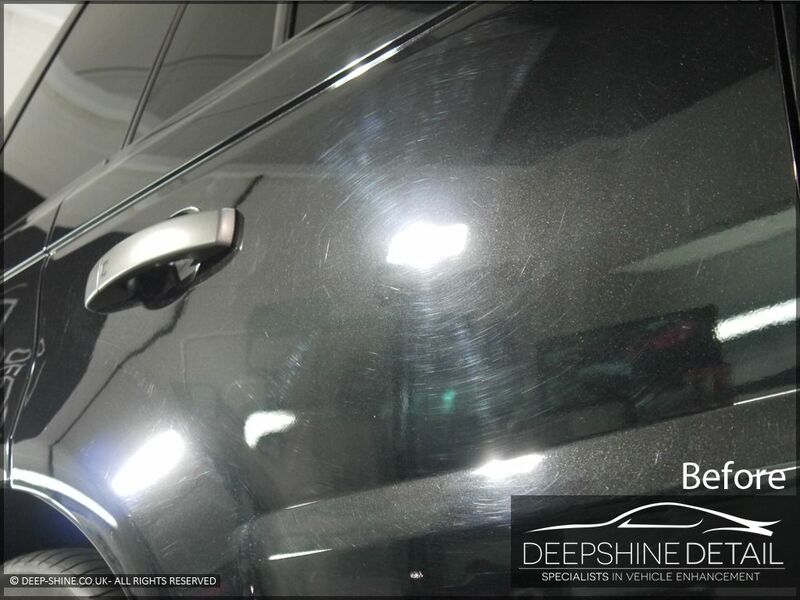 Please note as per above this is an Enhancement Detail so deeper defects will still be present and is by no means any form of full correctional package. 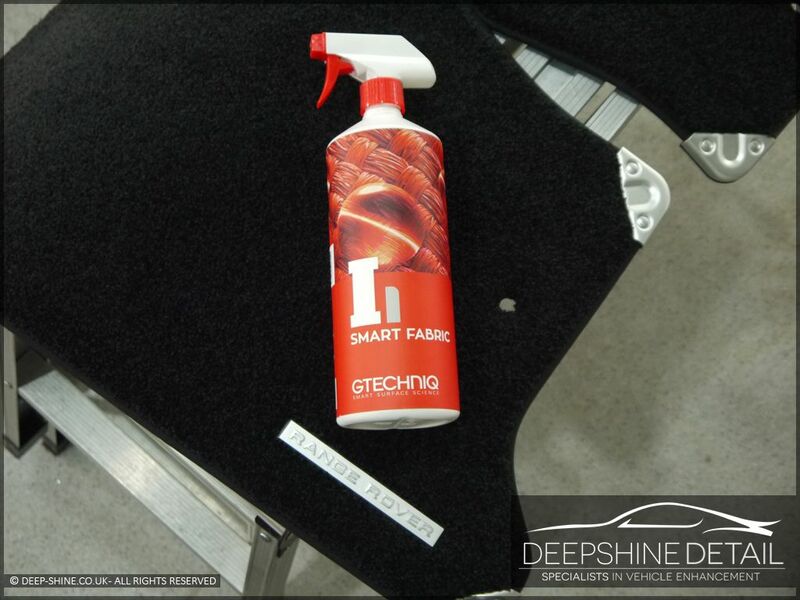 The car received the machine polishing stages of the Package. 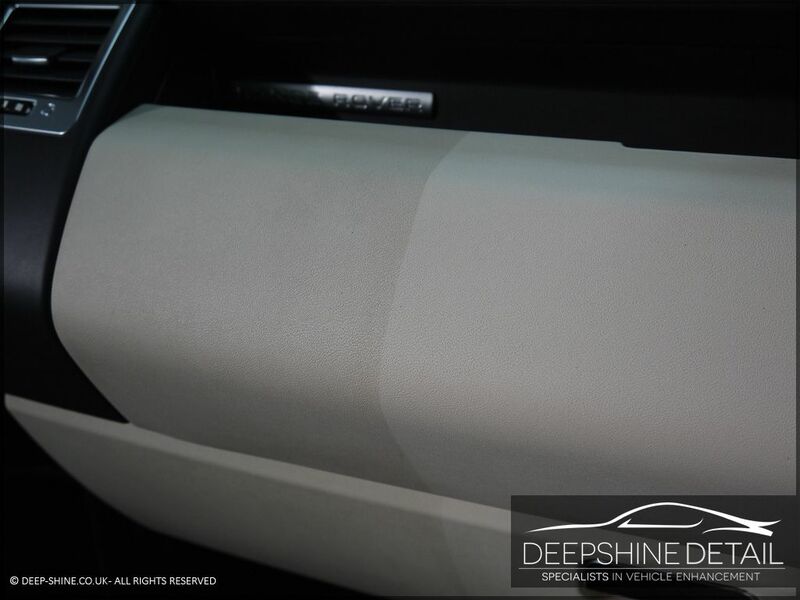 Vulnerable areas such as rubber and plastic edges were masked up as a precaution. 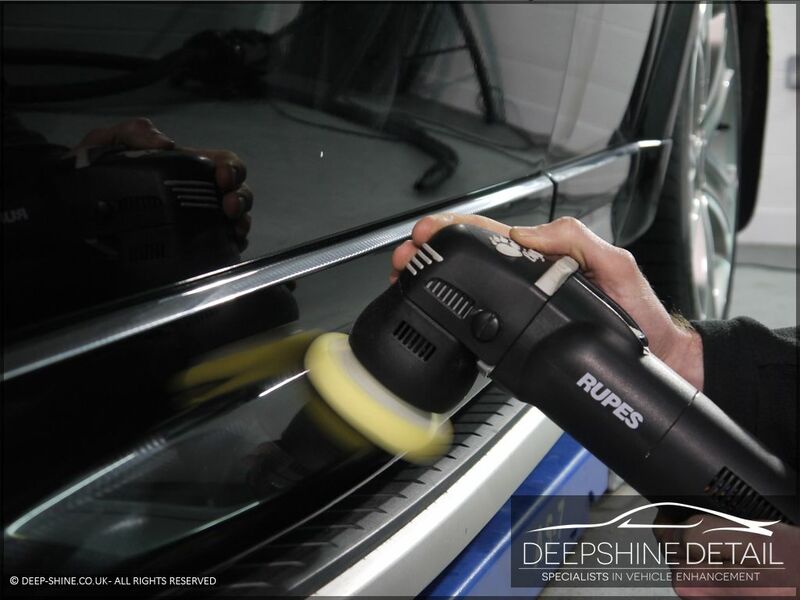 Various machines, compounds and pads were utilised which were dictated by the contours, defects & access of the area worked on to lightly remove various defects. 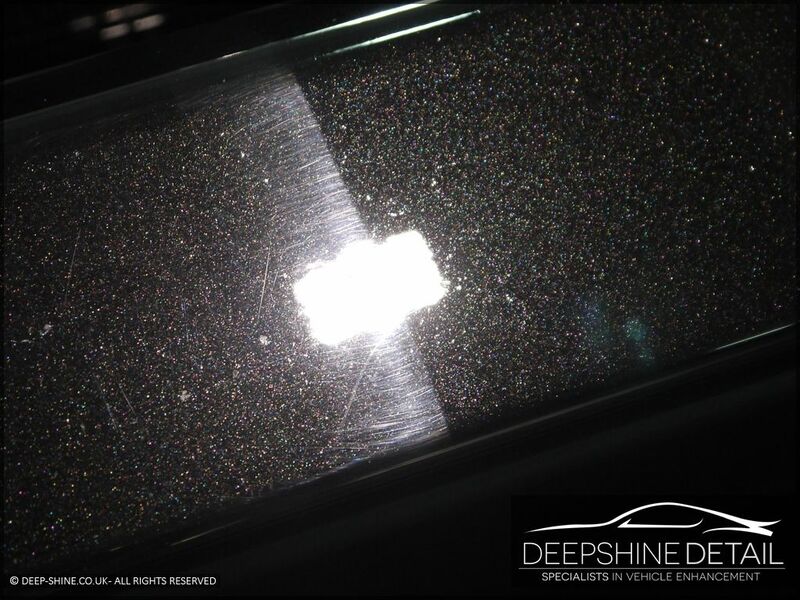 Before & after images demonstrating the correction achieved from the package, the images were captured after the initial cutting/polishing stages so the finish is still yet to be refined. 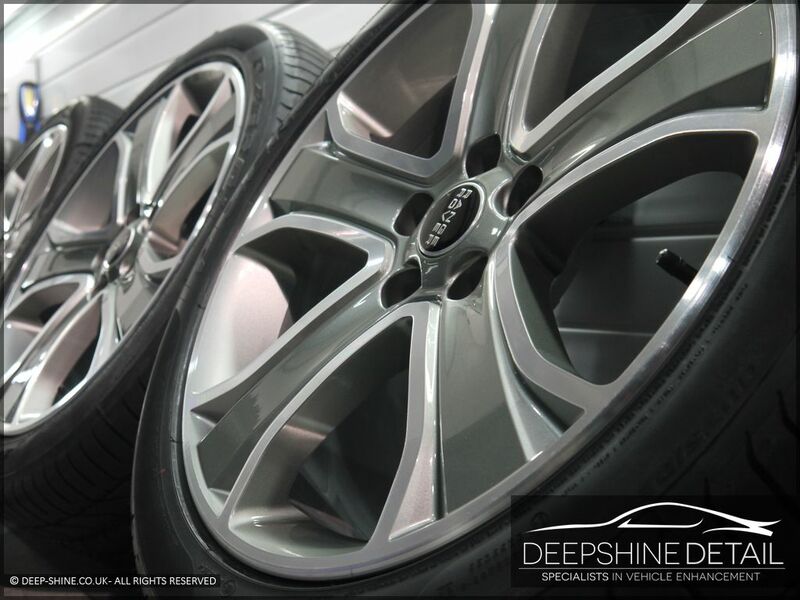 Wheels fully prepared and coated in Gtechniq C5 Wheel Armour. 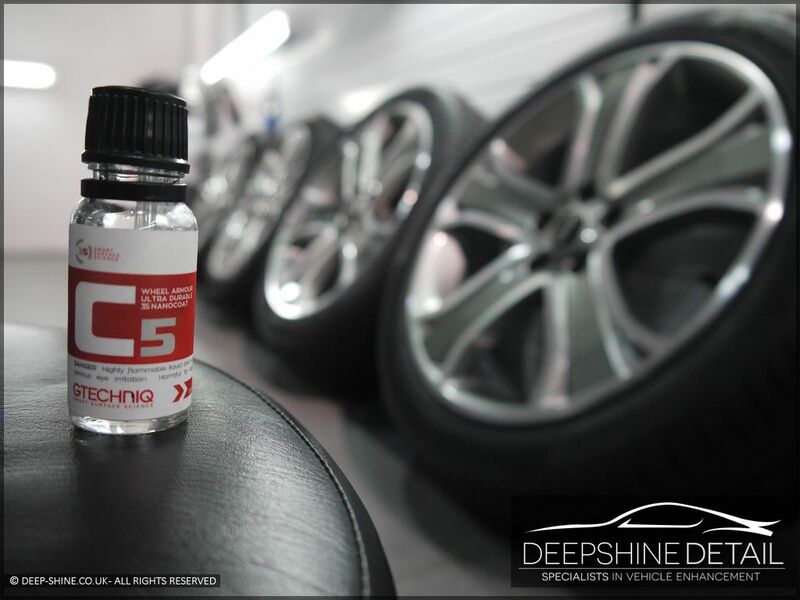 After a final wipe down and inspection Gtechniq C1 Crystal Lacquer was applied.